This lodge is a 6-minute walk from the beach. Just 3 km from North of the Pancake Rocks, Te Nikau Retreat offers a range of unique lodge, from lively dormitory rooms to self-contained cottages and lodges that are all nestled in the native forest. There is a free pick-up service in Punakaiki from the Intercity Coach Terminal upon prior arrangement. Fresh linen and duvets are provided in all rooms. Each lodge has a kitchen and bathroom facilities. 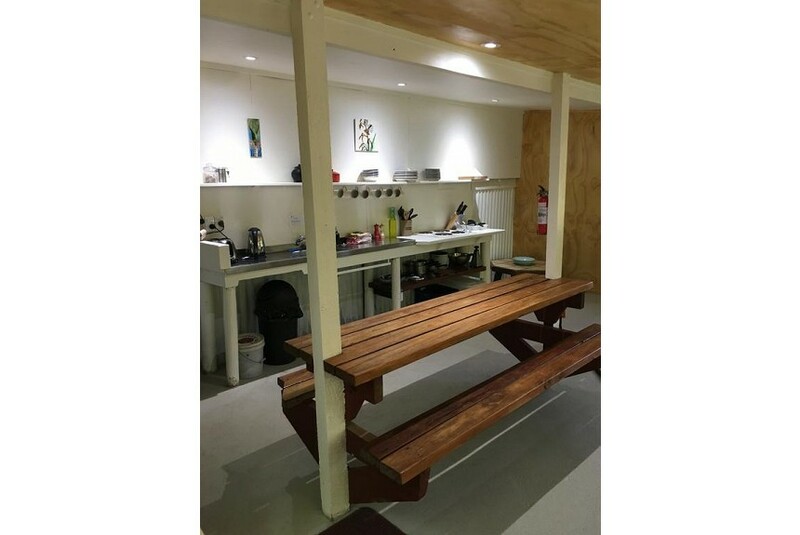 The community house is located at Te Ruru Lodge, which is equipped with internet access and laundry facilities. Freshly baked bread and muffins are available for purchase. Kitchen equipment are all available. The lodge is an 8-minute walk through the rainforest to the beach at the base of the Truman Track. Te Nikau Retreat is a 35-minute drive from Greymouth Station and a 3-hour drive from the glaciers. Central Nelson is a 4.5-hour drive away.